=TEXT([Modified]-[Created],”h:mm:ss”) Displays the hours, minutes and seconds between two times. For the methods to work, hours must not exceed 24, and minutes and seconds must not exceed 60. This entry was posted in SharePoint on August 9, 2015 by admin. To view the SharePoint list items that are created this month you need to create two calculated columns and a custom view. now you have a view for all calls created this month. 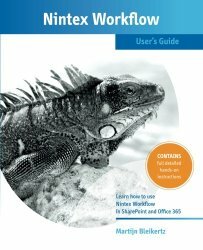 How can you add an newly created SharePoint list or library directly to the left navigation (Quick Launch) with Nintex Workflow? There is a way to do this via the lists web service method UpdateList. and then set the listproperty OnQuickLaunch on true. This entry was posted in Workflow on August 9, 2015 by admin. Failed to create site. http://portal/sites/Martijn contains illegal character ‘:’. 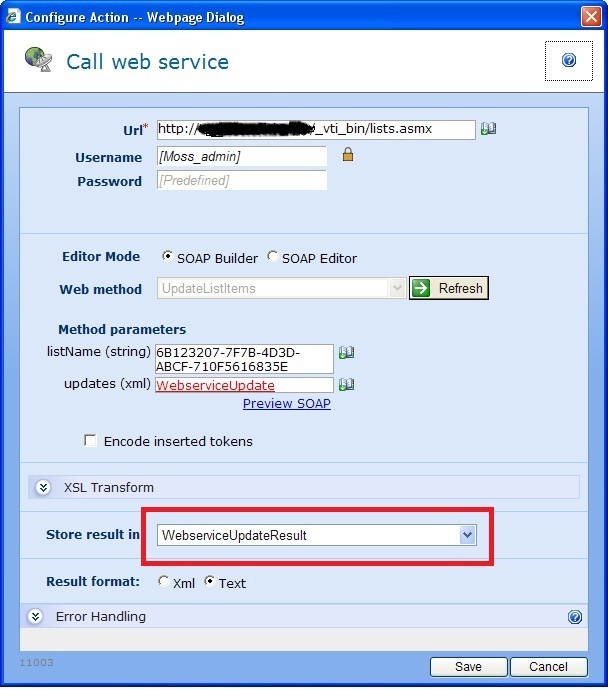 There error comes from the Url field, you need to define the name the url is going to be. This entry was posted in Uncategorized on August 6, 2015 by admin. 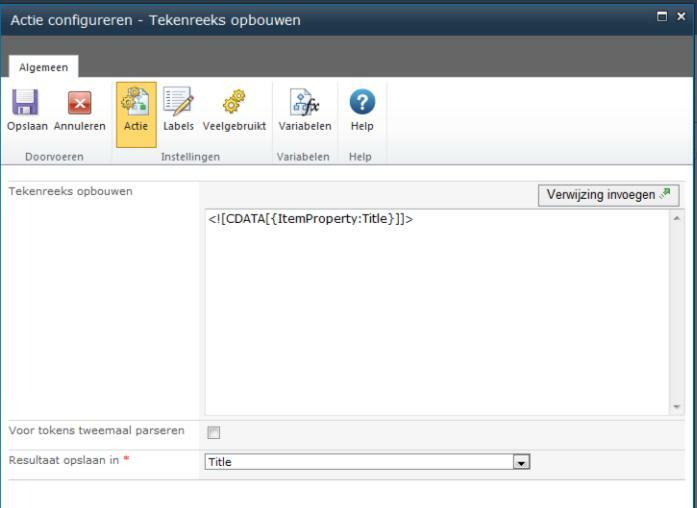 If you want to add all items from a repeating section in InfoPath to a SharePoint field via Nintex workflow you can. 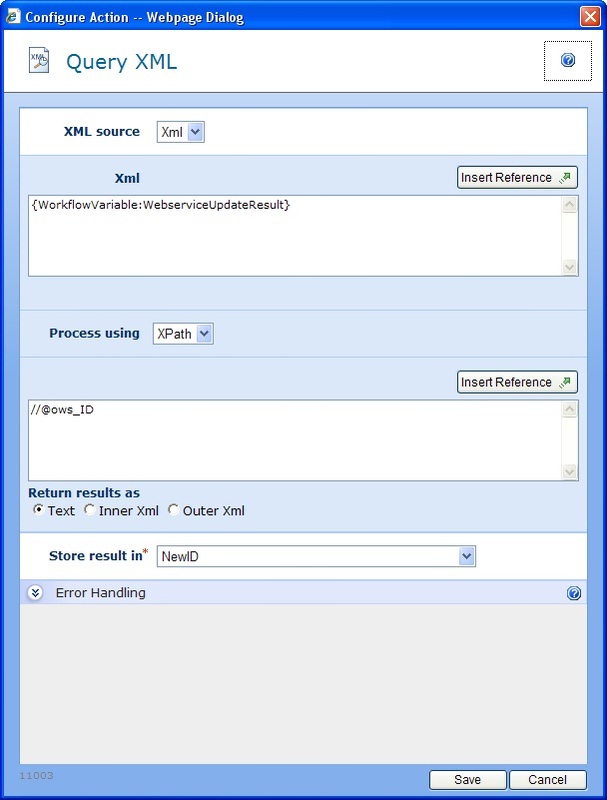 task pane and right-click, copy XPath to get a field’s xpath code. 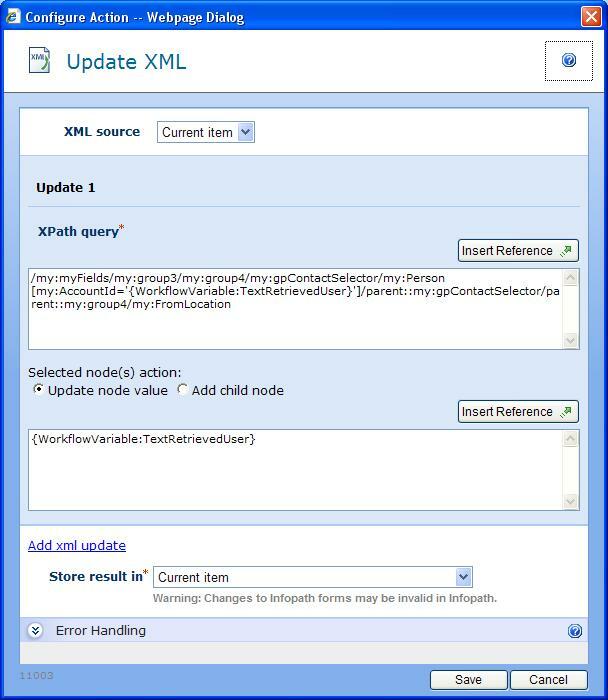 Past it in the process XPATH field of your Query XML. This entry was posted in Workflow on August 6, 2015 by admin. How to update a column in a InfoPath repeating table based on the selected user in a other column? I wanted to add several users to a repeating table and after submitting the form the computer, location etc. from the selected users needs to be added via a workflow in the form. 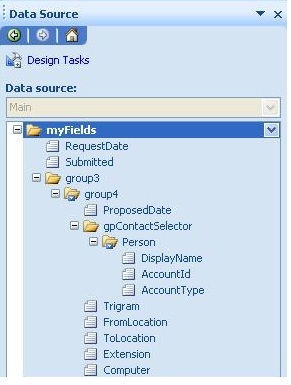 The structure of the form is as follows: we need the field AccountId that is a child from Person, which is a child from gpContactSelector, that is a child is from group4, which is a child from group 3 and finaly the parent is myFields. Add an for each action that process the collection and a text variable. This entry was posted in InfoPath, Workflow on August 6, 2015 by admin. A workflow crashes with a HTTP Status 400: Bad Request error, strange that it only happened on one list item. 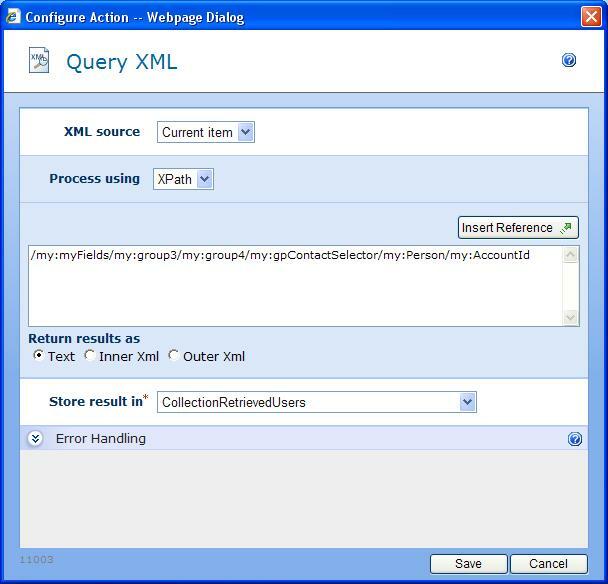 The workflow needs to copy an item in another site collection via a Nintex web service action. As it turned out the reason is that the title contained an ampersand (&) character and the web service crashes on special characters. So we have to excluded the parsing of the title, this can be done with the term CDATA. Add an build dynamic string action and wrap the Title around “<! [CDATA[” and end with “]]>”. Store the result in a variable and replace the title with the newly created variable. When you use the standard create item in Nintex you have the option to store the new item ID in a variable, this option isn’t available when you create an item via web service. 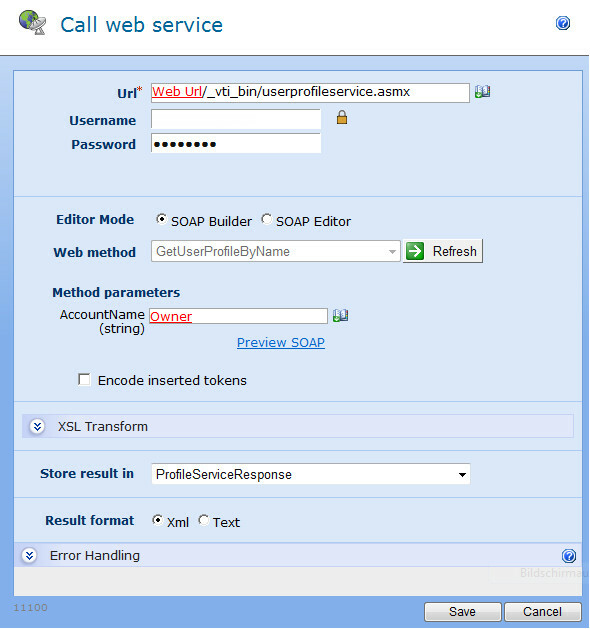 The solution is to use the Store result in option in the Call web service action. When working with a personfield in SharePoint you need to remember that the field doesn’t save the username from the user but his SharePoint userID. If you want to use this field to get the emailaddress, firstname or other userproperties from the user you can use Nintex workflow to retrieve these items. 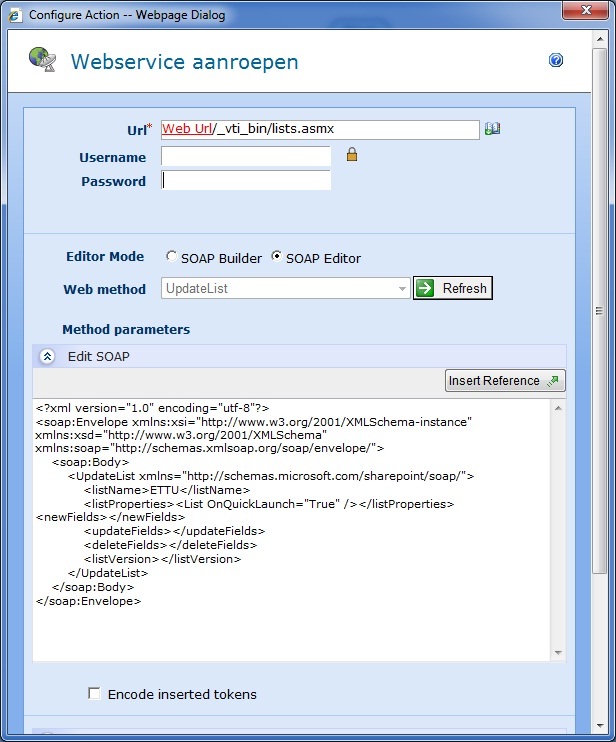 Create two text variables, one for web service result and one for Query XML result. This entry was posted in Workflow on August 5, 2015 by admin.